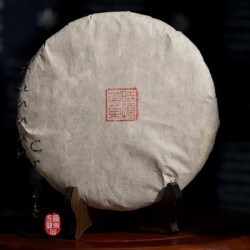 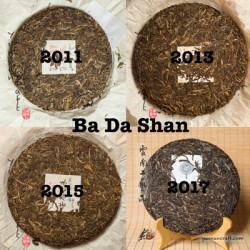 2013 Ba Da Shan - sheng pu-erh from arbor trees growing on Bada mount. 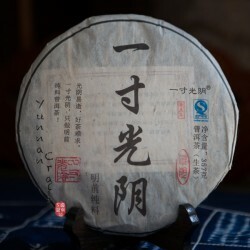 The spring tea leafs harvested from young arbor tea trees growing on Ba Da mountain. 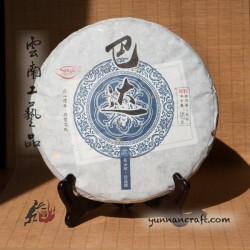 Fresh leafs were processed by people local of Man Pa Le village and later pressed into the cake traditional way by stone. 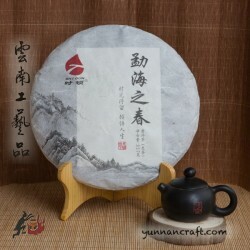 Medium pressed tea cake releases clear liqueur with honey fragrance touch of wild orchid. 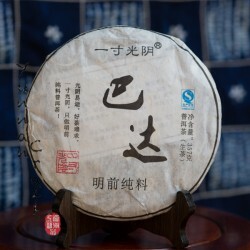 Slight bitter but not astringent tea provides quite fast sweet after taste "hui gan" .